I've been plagued by a cold all week but it's finally starting to subside. The weekend is nearly here at last. I love that I'm done with classes at 1:30 on Fridays so my weekends always start a bit early. I'm very much looking forward to getting some good sleep to hopefully get rid of this cold for good and of course having the time to truly appreciate Destiny. I've put a bit of time into it after classes the last few days but so far I've only put in about 3 hours total. That number will probably jump up quite a bit over the weekend. So questions for today! 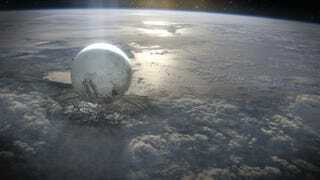 Planning to get in lots of Destiny play time this weekend? Maybe you didn't even get Destiny. Planning to get in lots of gaming of some kind in this weekend? If so, what do you plan on playing? What do you like to do when you have a cold? Discuss these topics or anything else below! You know, Talk Amongst Yourselves... or something.